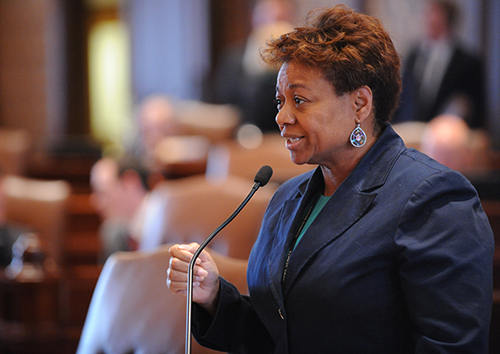 SPRINGFIELD — State Senator Patricia Van Pelt (D - Chicago 5th) has been busy advocating for not only children, but also for people seeking work. Van Pelt advanced a measure providing that no employer shall enter into a non-compete covenant with any low-wage employee. Any other non-compete covenant must be disclosed to an employee prior to the hiring of the employee. It defines "low-wage employee" as an employee based on hourly, annual or monthly compensation and allows the Department of Labor to adjust these amounts for inflation. The department shall also investigate and enforce complaints. One study suggested a significant share of workers don't necessarily understand the agreements they're signing. About 40 percent of those who signed a non-compete agreement "read it quickly or not at all." "This is a commonsense measure that puts more individuals to work. No one should be limited in their pursuit of employment. It is my hope that it will be called for a vote within the coming weeks, Van Pelt said. Springfield - Juvenile justice advocates applauded the advancement of one piece of legislation Van Pelt is sponsoring to reform the juvenile justice system, requiring minors to be represented by a counsel when being interrogated for murder. “According to Juvenile Justice Initiative, ninety-six percent of 14 year old do not have an adequate understanding of the consequences of waiving their rights. 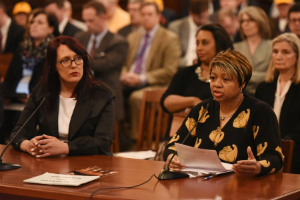 In addition, since Chicago holds the dubious title of false confession capital of the nation, I believe we have a duty to address this inequity through state statutes,” Van Pelt said. 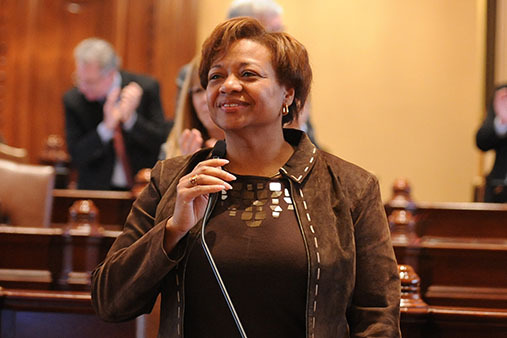 Chicago - The top priority this legislative sessionfor Senator Patricia Van Pelt (D-5th Senate) has been law enforcement accountability. Van Pelt has introduced legislation that directly addresses the high profile issues within community policing. Last Friday, Van Pelt and the Senate Executive Subcommittee on Police Professionalism met at the Bilandic Building in Chicago to hear testimony on Senate bills 2210, 2233 and 2370, all legislation the senator is sponsoring. Van Pelt represents some of Chicago’s most violence-stricken areas, in addition to some communities disproportionately affected by a lack of law enforcement accountability. "Mistrust of law enforcement is plaguing our communities. There’s not a week that goes by that I don’t get a complaint from my neighbors in the district," Van Pelt said shortly before the hearing started. More information on Van Pelt’s legislation can be found below. 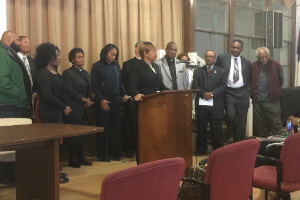 CHICAGO - Last Wednesday, State Senator Patricia Van Pelt (D-Chicago), who represents some of Chicago's most violence-stricken neighborhoods, standing with colleagues and members of the community called for accountability within the Chicago Police Department. Van Pelt is sponsoring legislation a series a legislative initiatives directly targeting that lack of accountability: SB 2210, SB 2231 and SB 2233. The package of bills pertains to creating an independent police review board, retention of police misconduct records and FOIA requests detailing police misconduct. "Accountability has been a major issue throughout the City of Chicago, specifically as it relates to policing. Introducing and passing these measures are a strong step in the right direct," Sen. Van Pelt said. In the past year, Illinois has seen numerous efforts from the General Assembly to pass measures for policing reform. Most notably, Senate Bill 1304, a measure signed into law by the governor after passing both chambers, establishes wide-ranging rules for body cameras, largely prohibits chokeholds, introduces bias-free policing and demands more data collection on arrests.